It's my North East Story time again and this time we're learning more about the lovely Rosie one half of my favourite local food blog Scobberlotch. I grew up in a big Victorian house in South Shields within walking distance of the beach. As a child I’d spend my days playing putt at the park, feeding ducks, building elaborate sandcastles and eating a lot of ice cream from Minchella’s . I loved every second of it. Even though I moved to Washington when I was 10 years old, and now live in Gateshead with my husband (also from the North East), I still regularly visit South Shields for walks on the beach and a Minchella’s ice cream. I don’t really have one place in the North East that I call home, I love all of it. I work right next to Central Station and adore being in Newcastle city centre every day (and popping to The Grainger Market for my shopping on my lunch breaks). 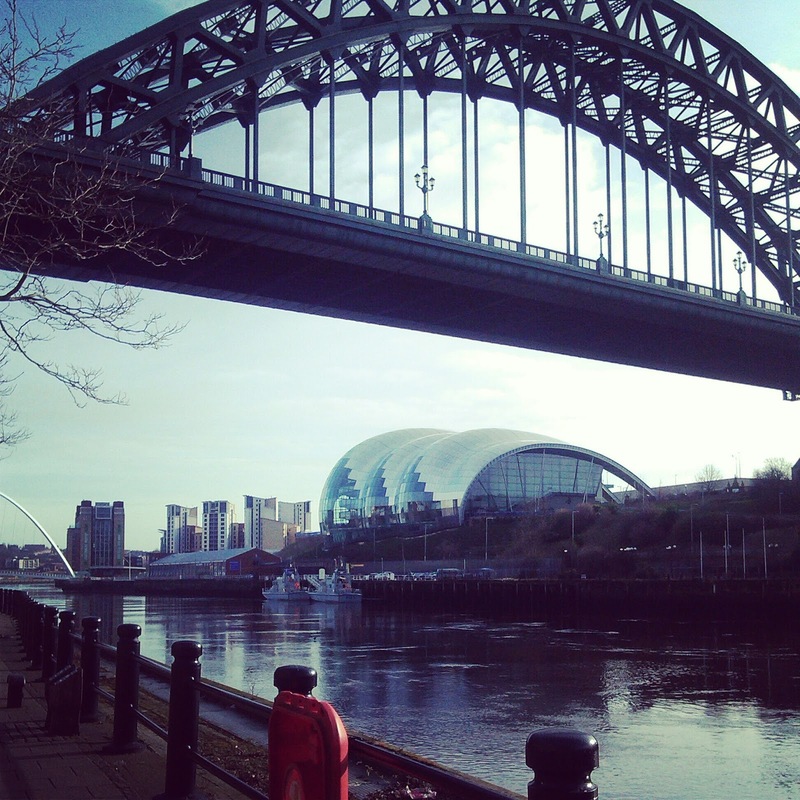 The North East will always be my hometown, so of course I love it for that, but I also think it offers the best of everything: a beautiful coastline, stunning national parks, a vibrant, modern city (Newcastle), and the lovely, cobbled Durham. There’s just so much to love that when I forever compare it to any other place I visit, I always return to the decision it’s the best place to be! I really missed it while living abroad in China, so now I’m back, I try to explore it and grow my love for it even more. If I want a perfect pampering day, I’ll go to Seaham Hall’s spa with my mum. We’ll go and buy a ton of magazines and just cosy up in our fluffy, white robes and while away the hours. Just writing about it makes me want to plan another visit! I also love walking, with no purpose than just to be outside and breathing in the fresh air. I’m lucky that I live quite close to Saltwell Park, and I love having picnics there (it’s where I had my engagement photographs taken!). If the weather is good, especially in the summer, I’ll walk to the Quayside and get lunch alfresco and just bask in the sun. My number one favourite lunch spot of all time is Olive & Bean on Clayton Street in Newcastle. If I have friends visiting, I’ll always take them there! Their range of cakes and drinks make my mouth water, and their tasting planks are just amazing! I also love the Grainger Market. It has so many fantastic independent eateries like La Petite Creperie, Nan Bei, Pizza by the Slice and Pet Lamb Patisserie. My favourite place for a dinner date is Gusto by the Quayside. The food and atmosphere is always top notch, and I mean, they do a nutella and marscapone calzone for dessert! I’m such a foodie that I find it hard to choose favourites, so I’ll also throw Haveli in Ponteland, the best Indian restaurant I’ve visited in a long while (and I grew up next to the Curry Mile in South Shields! ), Quilliam Brothers for tea and catch-up chats, and HeiHei into the mix as well. 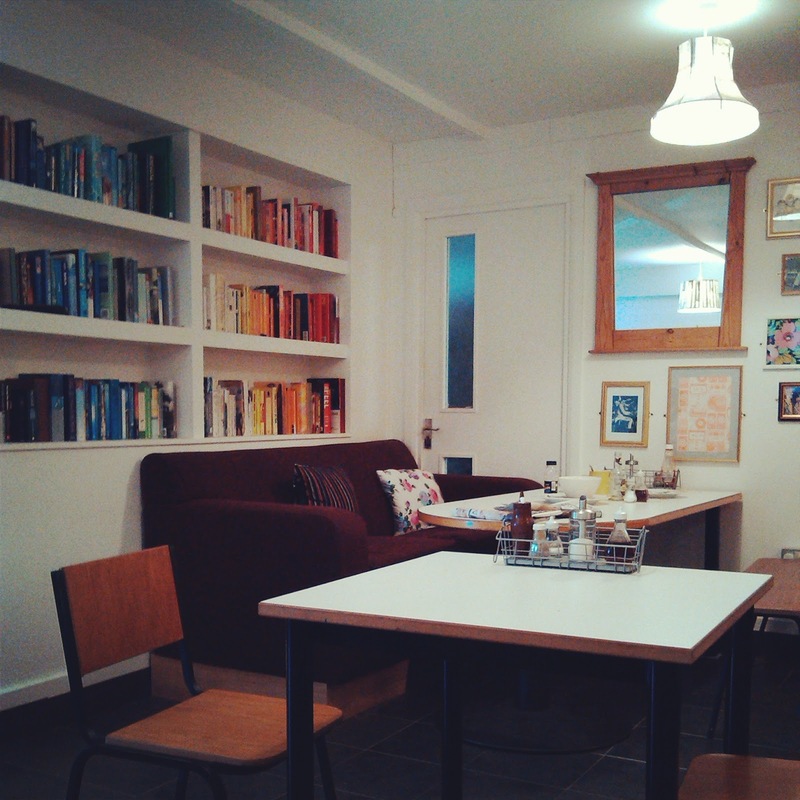 and my hidden gem recommendation is JJ’s Kitchen in Saltmeadows Industrial Estate in Gateshead that looks like nothing from the outside, but does delicious homemade food and has a rainbow library. Going to Allard’s Lounge in Tynemouth for breakfast/brunch (they do the best Eggs Benedict), followed by a wander around the Tynemouth market (bonus points if we go the same weekend as the additional food market!) and a walk on the beach. Then, maybe a trip up to Barter Books in Alnwick (an amazing charity book shop), and dinner at a new restaurant. Sounds pretty perfect to me!